Configuration files for my over-optimized development environment, and my bu_* shell script collection. I’m continually updating it to make journaling, task management, and note-taking seamless extensions to my day. I believe that by reducing input friction, excuses disappear and good habits stick. 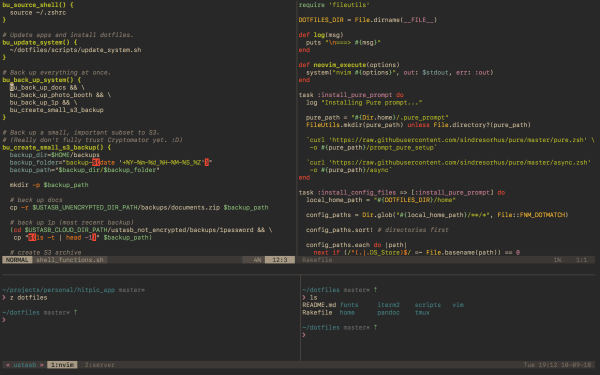 It contains configuration for Vim, tmux, Zsh, GnuPG, and more.